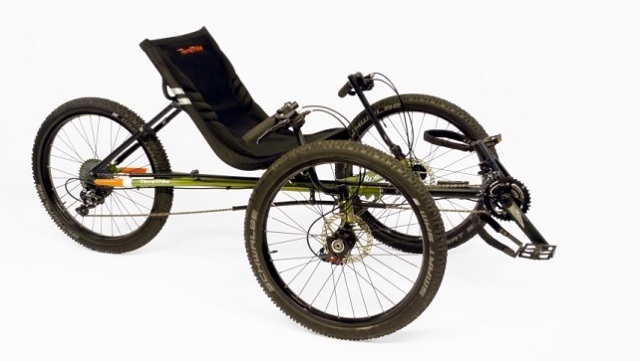 TerraTrike Adult Tricycles - Rambler x16, Rambler All Terrain and Rambler E.V.O. This recall involves adult, pedal powered tricycles. The recalled models include: TerraTrike Rambler x16 (orange), Rambler All Terrain (green) and Rambler E.V.O. (yellow). They have two wheels in the front and one wheel in the back and a black canvas seat. 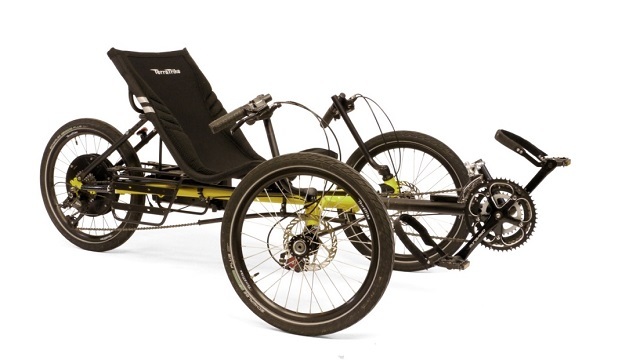 The trikes, depending upon model, come with either three 20-inch wheels or three 24-inch wheels. The model names are located on the outrigger tubes that come out of the main tube and connect to the front wheels. The serial numbers included in this recall are listed on the firm's website and are located under the main tube on a barcoded sticker near the rear wheel. The serial numbers are also stamped into the head (vertical) tube of the outrigger. As of September 27, 2018, the company has received no reports of incidents or injuries in Canada. In the United States, there have been seven reports of the hub mounts bending or breaking with no reports of injuries. Approximately 13 units of the affected products were sold in Canada. The recalled products were sold from May 2018 to August 2018. Consumers should immediately stop using the recalled trikes and return them to the place of purchase for a free repair. For more information, consumers can contact TerraTrike toll-free at 1-800-945-9110 from 8 a.m. to 5 p.m. ET Monday through Friday or online.